As we near the end of 2012, people all around Japan are preparing for one of the year’s central events: O-shogatsu. Shrine visits, large scale house cleaning projects, and lavish meals with the family are very much the order of the day now. 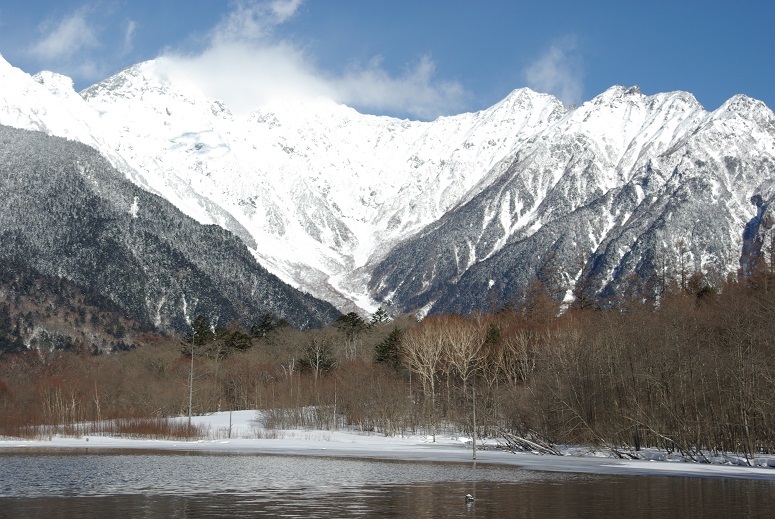 In Kamikochi, however, the boisterous human activity of the warmer months has given way to the peaceful inactivity of winter. Now that regular access to the park has been shut down, the usual crowds are nowhere to be seen, with only a few adventurous hikers entering via the Kama Tunnel on foot to experience Kamikochi in winter. To face the many dangers of winter with confidence, hikers and cllimbers must be experienced, well-equipped, and ready for anything. Does that sound like you? If you’re not sure, then the answer is probably “no.” But, just for good measure, we are dedicating this week’s blog entry to a quick rundown of essential safety rules for hiking Kamikochi in winter. OK, so here in brief is what you need to do. Remember, what we’re giving you here is just a list of essential points. Whole volumes could be (indeed, have been) written on the topic of winter safety, but these things are indispensible. 1. Fill out and submit a plan/itinerary to local authorities. As mentioned above, your forms can be sent by email or printed out and dropped in the mailbox outside the gate of the Kama Tunnel. Leaving a record of your itinerary is absolutely essential for safe hiking in winter! 2. 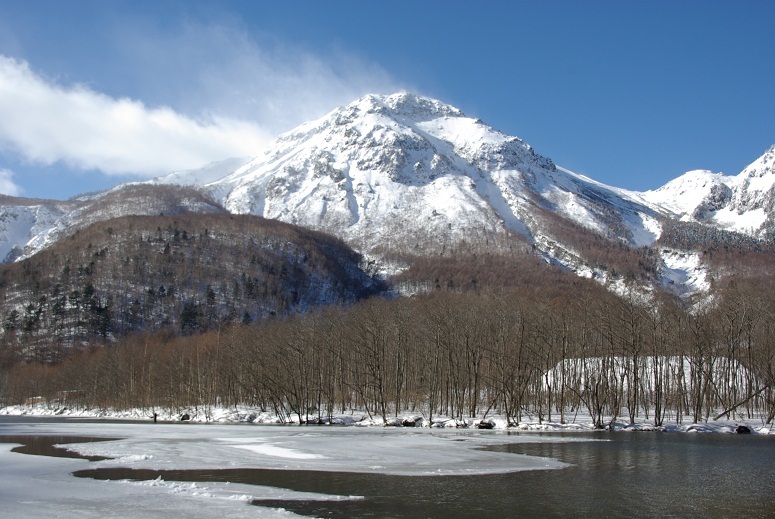 You must be aware of all of the potential dangers of hiking Kamikochi in winter, including avalanches, blizzards, falling rocks, and sudden changes in weather. And you must have all of the necessary tools for winter hiking (and climbing, if you’re heading to higher ground). If you have to ask what that is, then you are probably in need of more research and experience in this area and shouldn’t be heading out anytime soon. 3. Entering the marshland areas of the park is strictly prohibited. 4. Use the designated “winter toilets” (冬期トイレ) whenever you need to use the toilet. They can be found in the Taisho Pond area, at the Kamikochi Bus Terminal, and in Konashi-daira. 5. Set up your tents in the designated camping area in Konashi-daira, and NOT around hotels, visitor centers, etc. 6. Be sure to bring all of your garbage with you when leaving your campsite. Always remember that, with the park’s facilties shut down for winter, there will be noone around to help if you get into trouble. Taking responsibility for your own safety doesn’t just mean being willing to travel at your own risk; you must also be capable of doing so with conifdence. Awareness, preparation, capability (including mental and physical fortitude) are the foundations of that real confidence that allows to to tackle challenging terrain safely. Now that we’ve got the serious business of winter safety out of the way, we at Sacred Highland Kamikochi would like to wish you all a warm and pleasant new year, wherever you might find yourself this season. 2012 was a spectacular year for us, and we’re expecting even more from 2013! Also, please be aware that the Taisho-ike Hotel will be open from December 28th to January 4th, a perfect New Year’s getaway close to nature. As always, feel free to visit our Facebook page (https://www.facebook.com/#!/kamikochi) and leave us any questions or comments you might have. That’s all for 2012. Thanks to everyone who was there to enjoy it with us!